Ottelien Huckin is a Bath-based artist, graduating with a degree in Fine Art: Painting from the Edinburgh College of Art. In her art, she attempts to comprehend the role of women in both the biblical and contemporary society. Ottelien Huckin, in an expressive vision of blue, draws close to Salomé’s preemptive declarations of love, obsession and urgent longings for the mysterious prisoner; a pure and ardent dream before Salomé’s final dance to an unrepentant end. 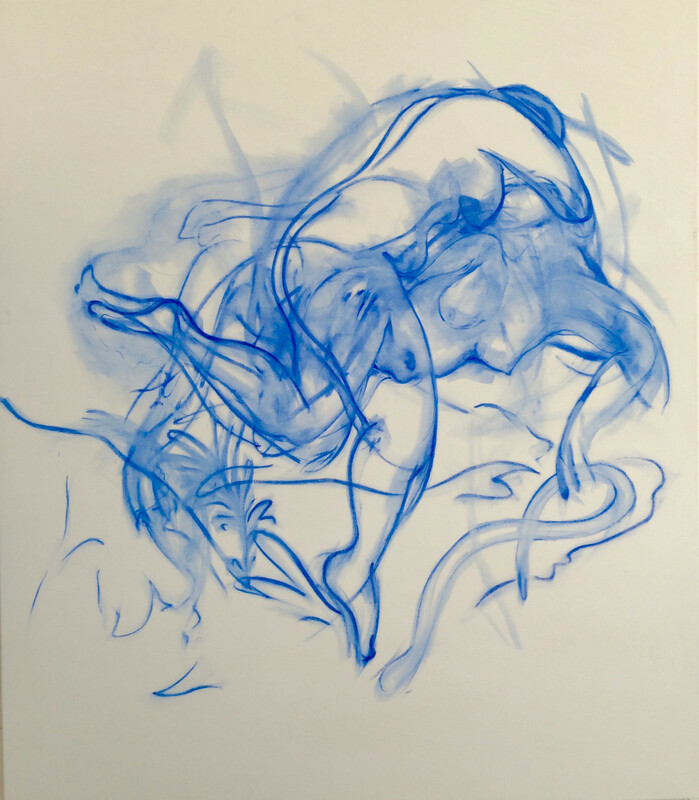 Ottelien Huckin's bold and expressive figurative compositions are deep rooted in the traditional practice of life drawing; allowing her to work from sketches and intuition.